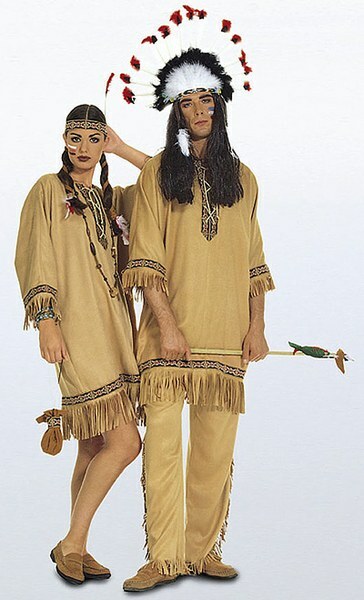 Shirt and very wide trousers/pants with elastic waist, cord lacing and typical “Red Indian” decorative trim and fringing. 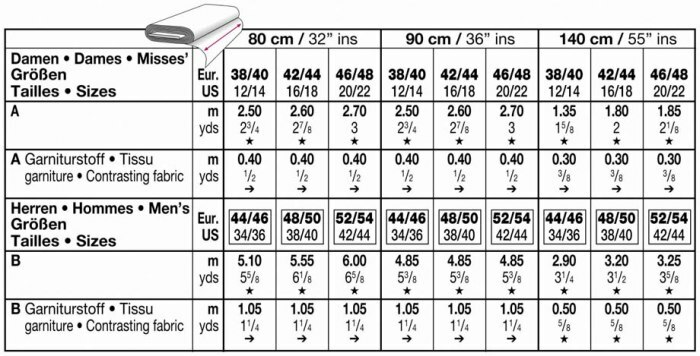 A: knee-length dress for ladies. 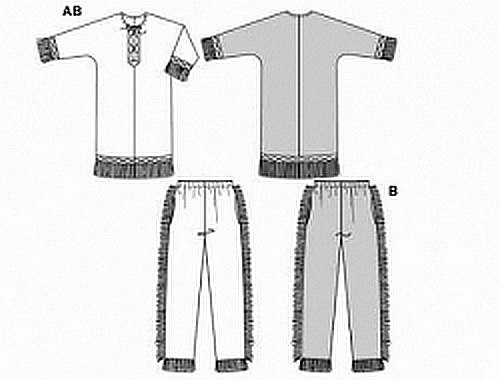 B: Shirt and trousers/pants for men.